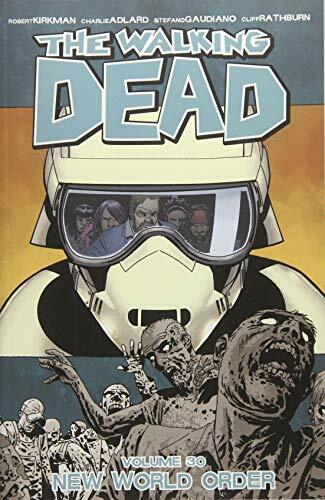 Collects THE WALKING DEAD #181-186. 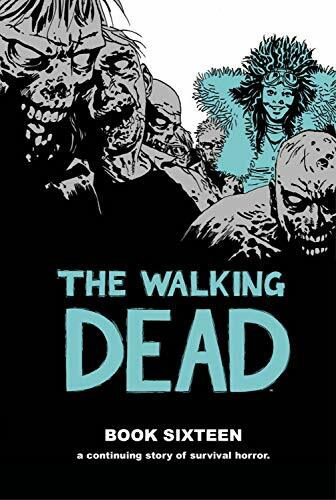 Just in time for the new season of The Walking Dead on AMC, the fan-favorite, New York Times bestseller series returns with its FOURTH massive paperback collection! 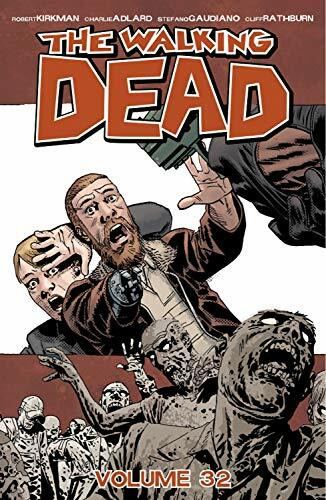 With over 1,000 pages, this volume contains the next chapter of ROBERT KIRKMAN and CHARLIE ADLARD's Eisner Award-winning continuing story of survival horror. 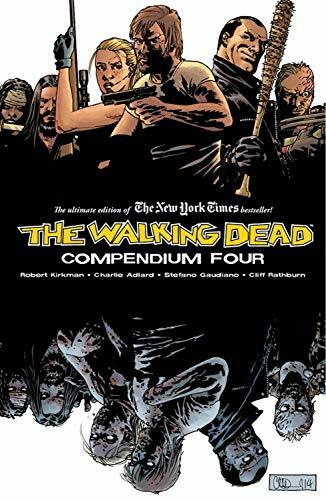 This deluxe boxset includes COMPENDIUMS 1, 2 and 3—with new covers exclusive to this set—collecting the first 144 issue of the New York Times bestselling survival horror series. 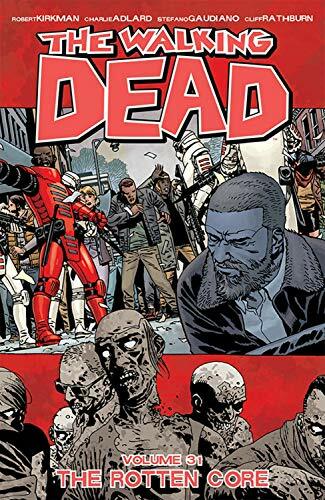 This limited set also includes an exclusive, EXPANDED HERE’S NEGAN trade paperback, which now includes the previously uncollected origins of Michonne, Tyrese, the Governor and Morgan. 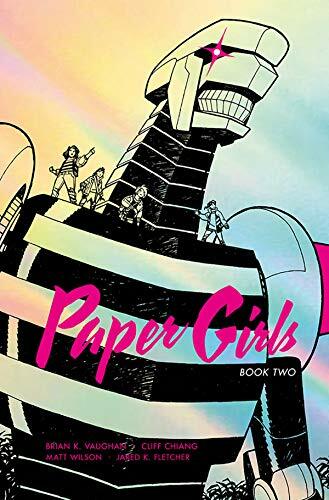 From Brian K. Vaughan, New York Times bestselling writer of SAGA, and Cliff Chiang, legendary artist of WONDER WOMAN, this gorgeous, oversized DELUXE HARDCOVER collects two complete time-traveling adventures, one that sends our four newspaper delivery girls from 1988 to the prehistoric past, and another to their own terrifying future. The Commonwealth and Alexandria have joined forcedÉ but at what cost to Rick? 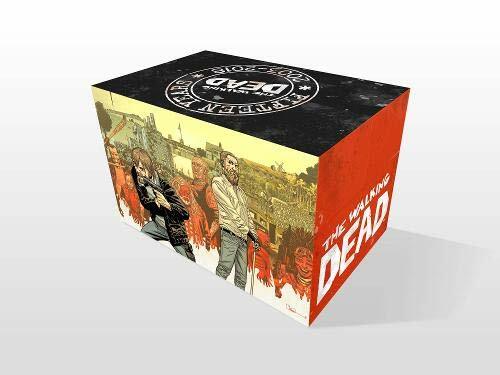 Collects THE WALKING DEAD #187-192. This hardcover features twelve issues of the hit comic book series, along with covers and a sketchbook, in one oversized hardcover volume. Perfect for long-time readers and fans of the AMC TV show. Rick leads the Commonwealth's Governor, Pamela Milton, on a tour of the various communities Alexandria is aligned with. Naturally... terrible things begin to happen very quickly, and what's done can't be undone. Collects THE WALKING DEAD #181-192.